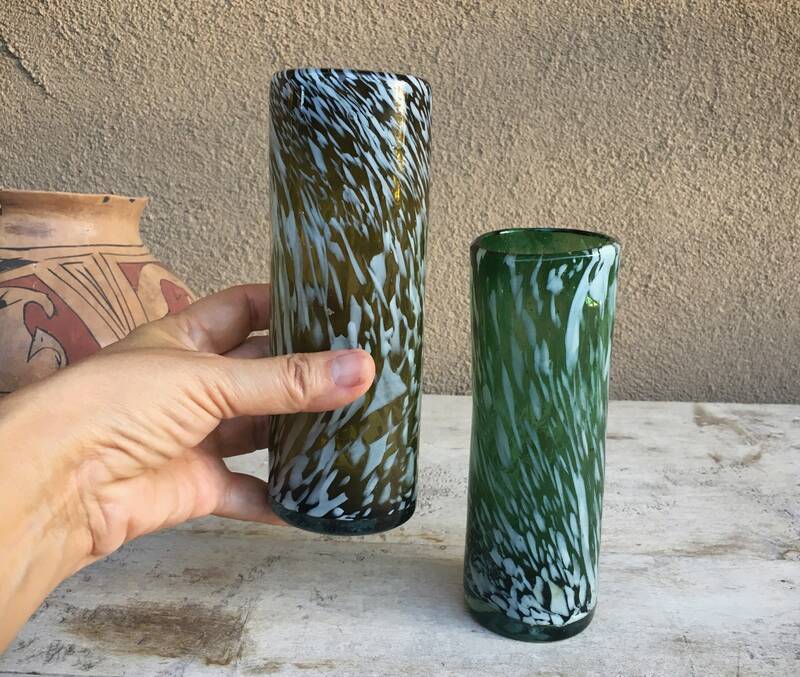 Two unusual Mexican glasses in two colors--one is more green, the other more amber--both with white specks that have elongated through the process of blown glass. 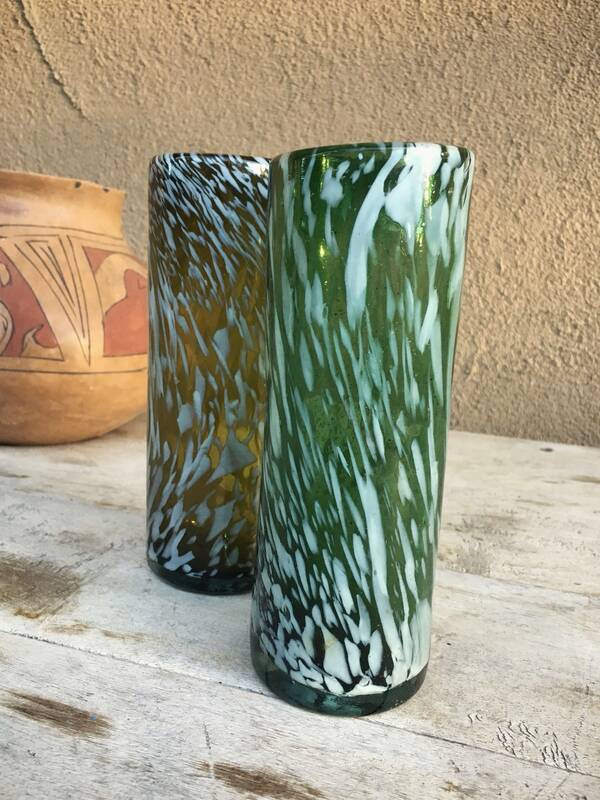 With the bubbles and inconsistencies of blown glass, including the pontil mark on the bottom. 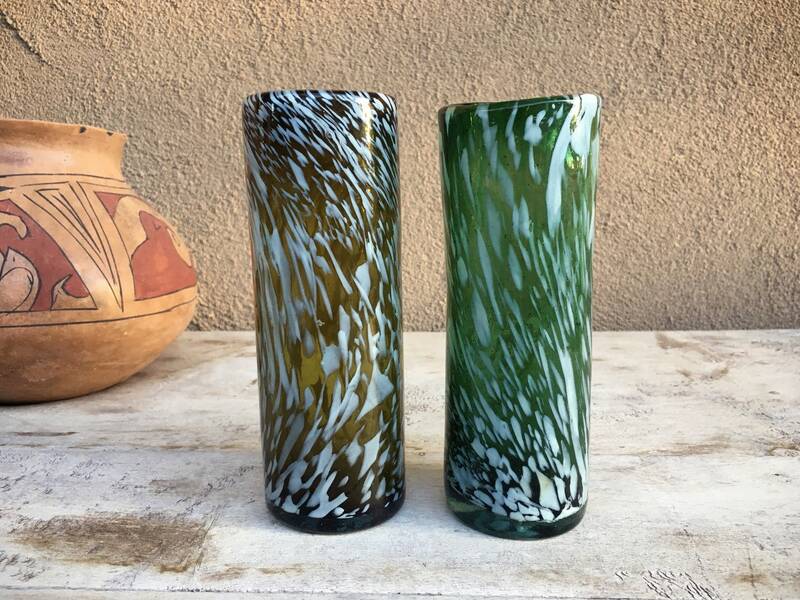 Would be fabulous for orange juice mimosas or a water glass for a dinner party of two! 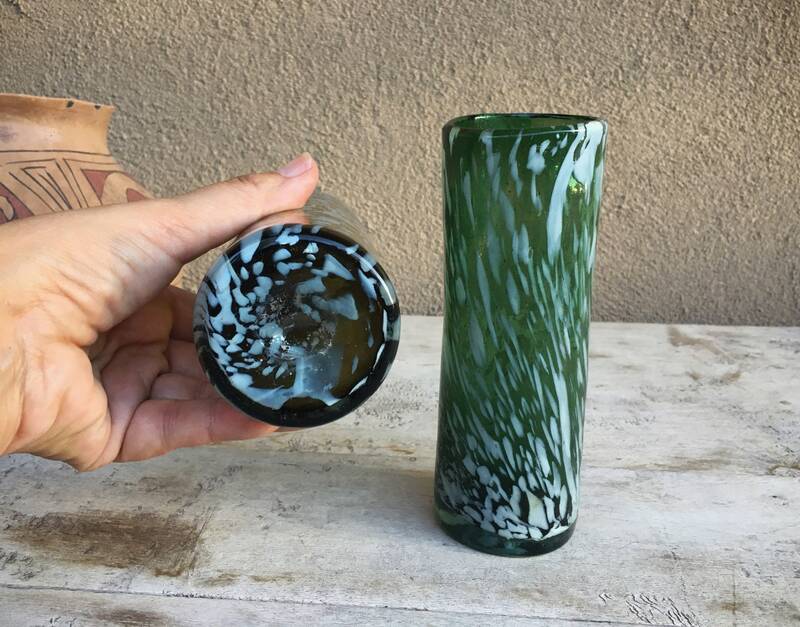 Just as the handmade glasses are not exactly the same color, nor are they the same size, but generally 6-7/8" tall and 2" in diameter. They hold about 12 fluid ounces each. Again, there are blemishes and bubbles in the glass, but no chips or cracks. The base of the glass where the pontil point was made is also a bit rough.